Tell your parents video games could make you richer than them. Remember when your elders told you to put down that video game controller and work on your homework? Now, we're not encouraging anyone to ditch their education for a life of professional gaming... we're just saying you can make millions doing it. A report that was published by Casino.ca has revealed that professional gamers raked in an astounding $1.5 billion worldwide last year. According to the report, Chinese players lead the pack with $68,460,526 in overall earnings. The U.S. sits in second place, with gamers in the states raking in $63,016,482 in 2017. 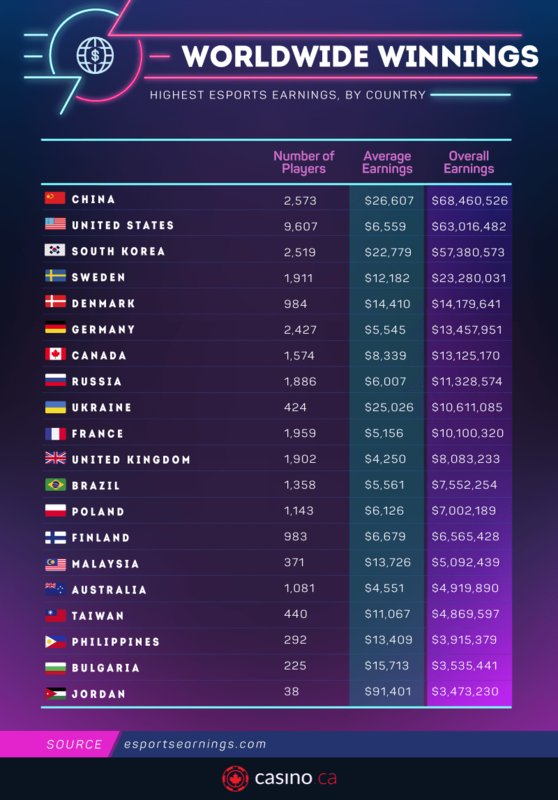 South Korea ($57 million), Sweden ($23 million), and Denmark ($14 million) round out the top five most lucrative countries for professional gamers. As far as single players go, KuroKy ranks the highest in earnings. The talented gamer made $3.5 million last year, and his teammate Miracle earned just over $3 million. Both players were able to amass such astounding amounts of cash by owning gamers in the Dota 2 championships, which awarded pro-gamers over $24 million in prize money in 2017. 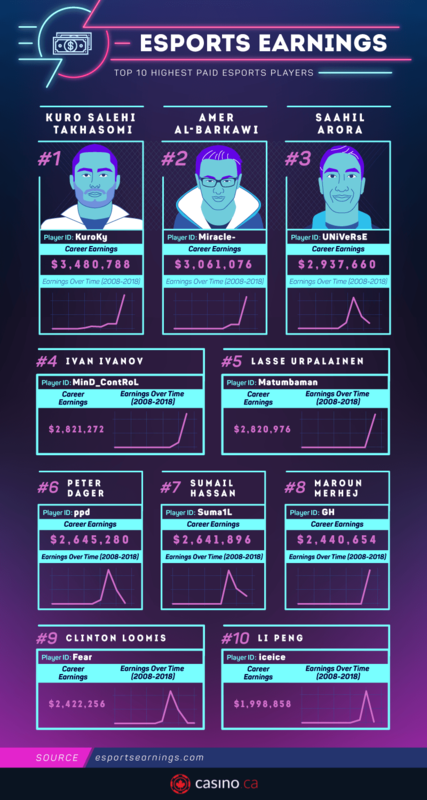 UNiVeRsE, MinD_ContRoL, and Matumbaman earned just under $3 million, which rounds out the top five top-grossing pro-gamers in 2017. That $5,000 Drake donated to Ninja seems like play money compared to what these gamers are pulling in. According to DoteSports, pro-gamers are on course to earn $2.3 billion dollars in total revenue in the next four years. I'm in the wrong industry.